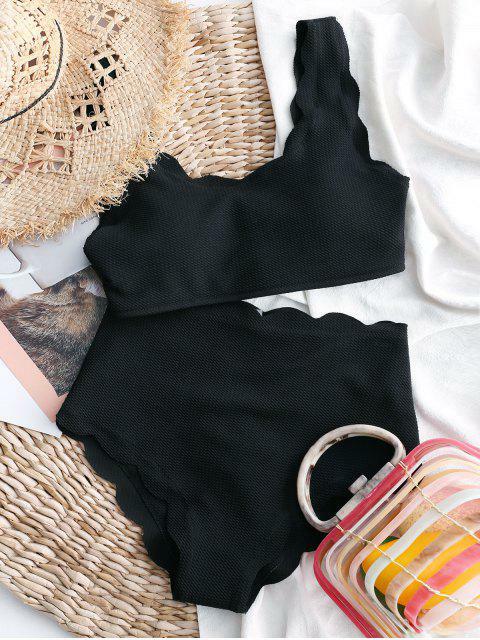 [25% OFF] 2019 ZAFUL Scalloped Textured High Waisted Bikini Set In BLACK | ZAFUL .. I absolutely love this swimsuit. This suit has probably one of the best quality materials that I’ve seen. Hugs you in the right places. I’ll probably wear the top as a crop top as well. Highly recommend.